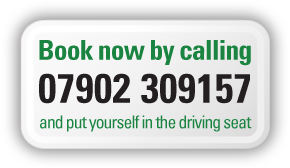 Before you start to drive on a public road or take your theory test, you will need a valid Provisional Driving Licence. You can obtain The Driver and Vehicle Licensing Agency (DVLA) application form (Form D1) from your local Post Office or also online. Click the button below to apply online. You can apply for your licence up to 3 months before your 17th Birthday but it will not valid until you actually turn 17 so you will not be able to take lessons on a public road, or take your theory test until then. A photo is required for your licence and you can use your passport photo if you have one. If you don’t have a photo, or you want to use a different one, this will need to be sent to the DVLA separately.